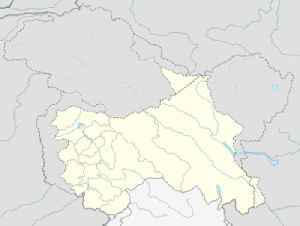 Baramulla is a city and a municipality in the Baramulla district in the Indian state of Jammu and Kashmir. It is on the bank of the Jhelum River downstream from Srinagar, the state capital. Overall polling percentage in the two parliamentary constituencies of Jammu and Baramulla that went to polls in the first phase was recorded at 57.31 %.